3D Touch is only at its first baby steps, but it needs improvements to really become beneficial. One of the marquee features in the new iPhone 6s and 6s Plus is 3D Touch, “an entirely new way to interact with your phone.” 3D Touch includes three types of interaction: Peek, and Pop, and Quick Actions. In some ways, 3D Touch is a right click for the iPhone, offering shortcuts that would not be available otherwise, or that would require more interaction. 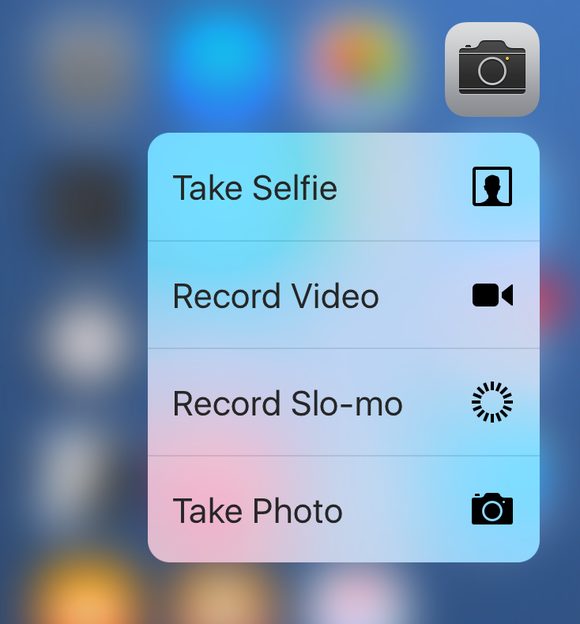 Jason Snell explained how it works in this article, and we have an FAQ about 3D Touch here. The biggest problem with 3D Touch is knowing when it is available. If you press links in certain apps, they’ll show you peeks; for example, a link in an email message in Apple’s Mail shows you a preview of a webpage from Safari. But pressing and holding a link in Twitteriffic, my Twitter client, brings up a share menu, without using 3D Touch (i.e., there’s no force feedback). Also, you need to figure out that pressing and holding a link in Safari provides a preview—a peek—of the webpage that link leads to, but only as long as keep your finger on the display; but if you slide your finger up, then the preview stays visible, and a menu appears below it. It’s all very secretive, and more guidance on when 3D Touch is available would be helpful. The same is the case with 3D Touch on the home screen. 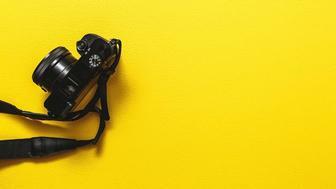 There is no indication that any app offers quick actions. When the iPhone 6s was first launched, the only apps that provided this feature were Apple’s own apps, and even among those, only a handful offer quick actions. So I spent a lot of time pressing and holding different app icons, ending up feeling foolish that this gesture only gave results occasionally. Perhaps there could be a tiny overlay on an app icon that offers 3D Touch quick actions; a small dot in a corner of the icon, for example, or a colored dot next to its name (such as the one that displays when an app has been updated). Until such time as all apps offer quick actions, users will get frustrated and give up even looking for them. The Camera app’s quick actions are useful. 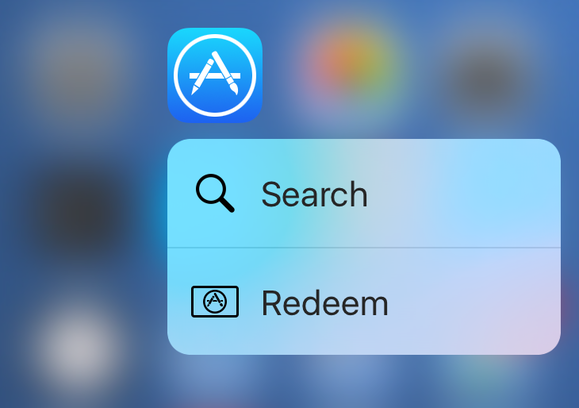 The App Store and iTunes Store each offer the same two quick actions: Redeem and Search. I wonder how often people actually redeem gift cards in the App Store. I think people are more likely to want to check for updates, or view the top charts. I really only use one of these App Store quick actions. 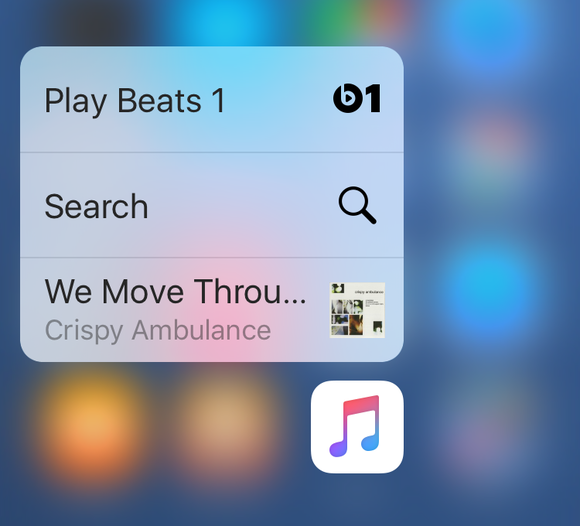 The Music app offers only two actions: Play Beats 1 (something I never do) and Search. (If you’re listening to music, there’s also a quick action with the name of the current track, and I don’t really see the point of that; tapping it just takes you to the Now playing view.) Why not offer a Shuffle All quick action? Or a shortcut to the For You page of Apple Music, for those who use the service? Or how about allowing users to customize quick actions? I’d like to be able to launch a favorite playlist quickly using 3D Touch. The Music app could do much better. Messages and Phone offer shortcuts to three people each; those who are in my favorites in the Phone app. But it’s the same three people. You can’t change this unless you change your favorites, and you may not always text and call the same people. I’d like to be able to set different favorites to show up as quick actions in Messages, Phone, and even FaceTime. The quick actions in Mail are pretty useless. They show one mailbox, my unread mailbox, a Search option, and a New Message option. 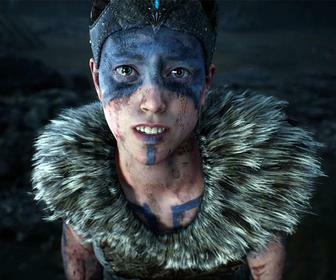 How about allowing that to be programmable, to have a quick action to send an email message to a specific person, or to send a new message from a specific account? Or to check for email, if you’ve set up your iOS device to only do so manually? Mail’s quick actions are essentially useless. Programmable quick actions could allow you to choose a specific playlist to activate quickly in Music, open the Camera app with certain settings, create an event in Calendar with a number of presets, access recently used files in iCloud Drive, and much more. 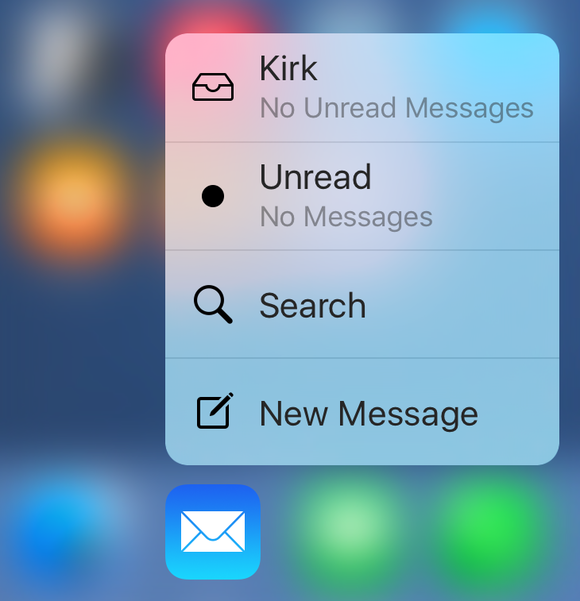 I like the idea of 3D Touch, but I find it limited. Like other gestures, it’s hard to know that this feature is available, and the options it offers aren’t always useful, making it seem like a gimmick. 3D Touch is only at its first baby steps, but it needs improvements to really become beneficial.